Having to buy checks from a back or an online store can prove to be very expensive, especially when you need to get them on a regular basis. If you are a business owner, or you are in a position where you would need to write checks on a daily basis, the cost of having to acquire these checks can have a significant impact on your company’s profit margin. There is a way to avoid this constant expenditure, and this is if you buy your own machine that you can use to print your checks. These printing machines can be of great value in reducing both time and effort for writing checks, and they also allow you to keep track of your financial affairs in a more organized way. This brings us to the question: what printer would be great for me to use to print my checks? There are a few things that you would need to know before you set off to go get your own printer. The most basic thing you would need to do is find out if the printer you will be getting will be compatible with the software that is currently available on your system. Let’s expatiate this point a bit further. The software for formatting checks. MICR font to print the computer-friendly numbers that are usually found at the bottom of the check. The check stock-paper with some security features that protect your checks from piracy and alterations. A magnetic ink, which is quite optional, but having this will help avoid problems and extra expenses. There are two ways to print your checks. Either you do it from scratch (go through the processes all by yourself), or you order partially printed checks from a professional printer. And if you choose to not do any of the above, you could easily have a check printer do the tedious part, which is what you will get with every check. You can outsource the task of putting computer-readable numbers on a special paper with magnetic ink. After that, you can just drop the checks in your printer to add the payee, amount, and any other thing to it. Following this method, you would not need to deal with any special ink or have to download any special fonts. Although you can design and print your own checks without the help of a special software, you would need time and some design skills. If you get a pre-built package, then this does all the work for you, and this software is relatively cheap, especially when you are able to spread the cost out over a high volume of checks. You probably already are in possession of what it is you need. There are software programs that make it easy to create a payment and to print a check. They also help you track payments without your having to manually enter them by creating a record when you print the check. Now, let us dive into the review of the best printers for printing checks. You can use this printer both at home and at your office. It has the 802.11b/g wireless networking, and it also allows you to print your check without you having to use any extra cables. It gives you the option of printing checks directly from your phone, it is easy to use, and it has a very fast set up. It can print up to 19 ppm letter or 18 ppm A4. Because of its instant-on technology, it is able to deliver prints at a very fast speed. This printer has paper-saving features that help to conserve both money and valuable resources. One way this printer helps to save valuable resources is by printing only the needed content with HP smart print. 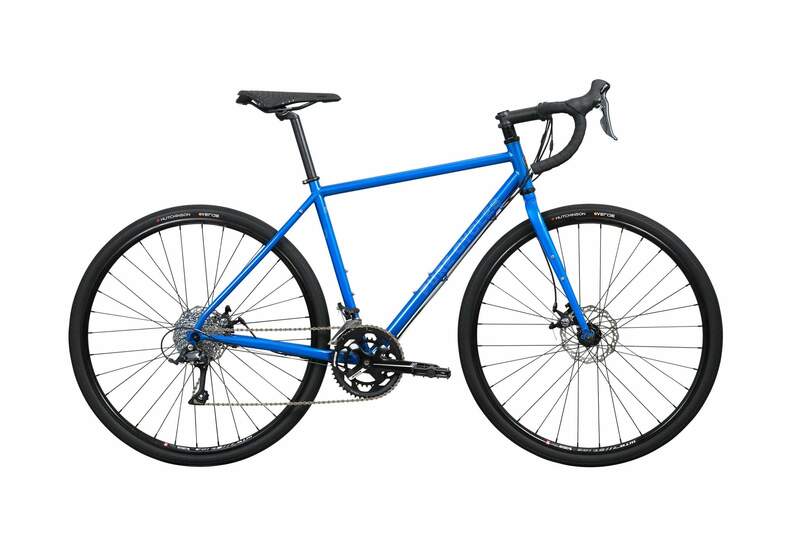 More so, it comes in a very sleek and industrial design. Because of the compactness of this printer, you can fit it almost anywhere without it taking up too much space. It aids a cost-effective print and professional checks right out of your home. The prints have sharp images and clear texts that make them great for use in business places. There is a 24/7 web support available with this printer. It has an automatic on/off technology that serves as an energy saver. 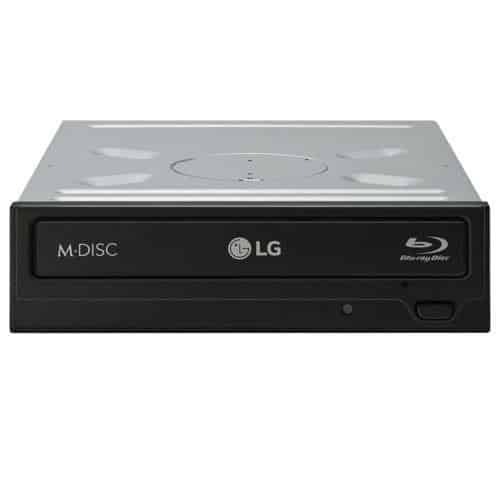 It has a limited hardware warranty of one year, and if any problems arise, you can get it fixed at no price at all. The software that comes with this printer isn’t very much reliable. Its wireless functions sometimes give an error message. 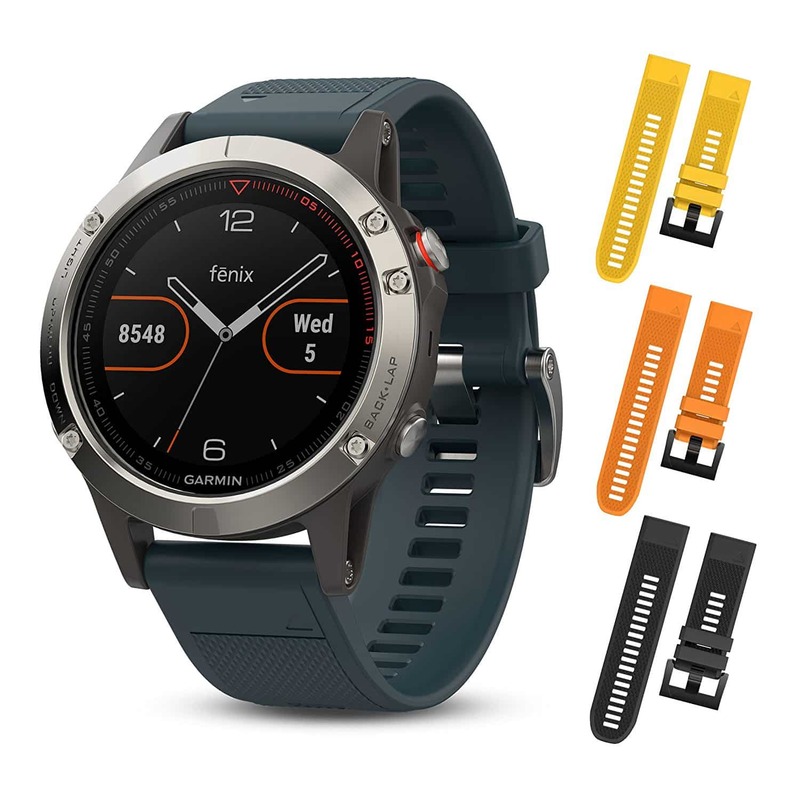 Another product from HP. This is a high-speed laser printer that is great for small offices. It has a built-in Ethernet networking that makes sharing it with the entire office possible. It allows you to print up to 25 ppm A4 or 26 ppm latter. 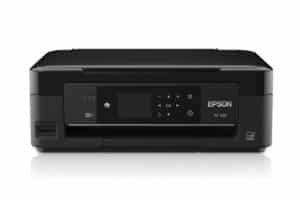 It also makes use of instant-on technology like the previously reviewed model, making it possible for it to print at high speeds. 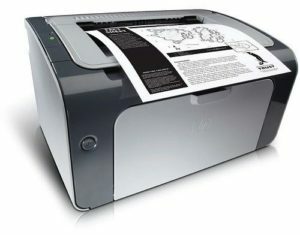 You can use it to print on a variety of media and it has a 10-sheet slot for priority input and a 250-sheet paper tray. The P1606dn printer allows you to save up on both energy and paper, and this reduces the cost of printing by a very great amount. It prints on both sides automatically, and in doing this, it helps to cut down its paper consumption by up to half. It comes with an automatic on/off feature, meaning that you do not always have to keep an eye on it at all times. This feature saves you a lot of energy, reducing the power bill that you would need to pay. With the help of AirPrint, you can have your material printed almost anywhere, you can connect it to an iPod, and iPad or even an iPhone wirelessly, allowing you have enough management of your prints in an efficient and organized way. The texts and images that this printer prints are very clear and sharp, making them good for professional uses. It has a 24/7 web support. It saves you some space with its very compact design. It does not have any distracting noise. You would need to very frequently change its toner. 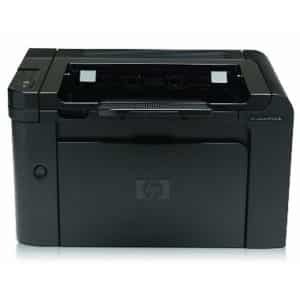 This is an NFC-enabled printer, making it easy to connect your handheld devices wirelessly. 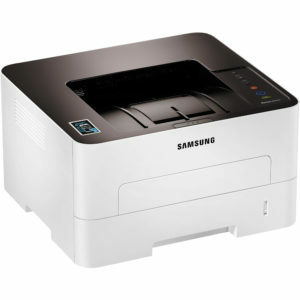 What this does is, it makes it very easy for you to print anything directly from your phone using the Samsung mobile print app. Its texts come out in black and white and at a speed of 29 pages per minute. This makes the printer highly functional, especially in places that require high-quality printing and on a frequent basis. The Samsung SL printer is capable of printing clear and sharp texts and images all the while reducing the rate at which it uses the toner. It has an Eco button that helps to conserve both energy and paper as well. The duplex printing technology employed by the printer enables you to print on both sides of the paper. It prints at a high speed. It prints at a high resolution. The setup instructions contained in its manual are not complete and are hard to follow. 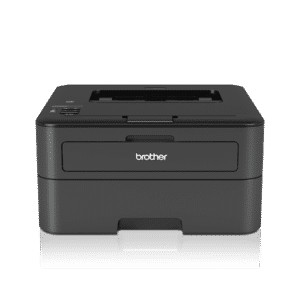 This is a printer that is very easy to navigate, and it also supports wireless connections. You can use this printer to print directly from your tablets, smartphones, iPads, and iPhones. This printer makes use of individual ink cartridges; and what this means is that whenever you run out of color, you can replace it with only that particular color, and with this, it saves you some resources. 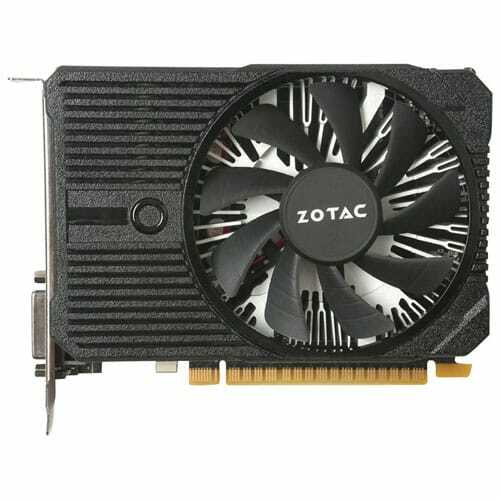 It is compatible with a wide number of operating systems like the windows 8, windows vista, window 7, Mac OS, windows XP Professional, windows XP SPE, and other higher versions. It comes with a built-in card slot that can be used to scan directly to Facebook. It has a 2.5-inch LCD. It has a compact size, and it saves space. Its cartridges run out very quickly. This printer offers very high-quality printing of up to 27 pages per minute. You can connect it to other devices using the USB interface or a wireless network. You can also print directly from your handheld devices using Wi-Fi direct, Google cloud print, air print, and brother iPrint and scan. This printer comes with an automatic duplex printing feature that enables you to print on both sides, saving you some paper. In this printer, there is a manual feed slot for envelopes and a 250-sheet tray that can be used for both letters and legal. This printer can be shared by multiple users. It belongs to the class 1 laser products. Its wireless connectivity is not stable. It can be sometimes difficult to connect the printer to a home network. First off, it is not especially recommended that you print your checks from scratch. For you to be able to choose from the above listed printers for printing checks, there are certain things to know. While you print your checks, you would need to keep an eye out for the quality of check that is being printed. You wouldn’t want a bad quality printed check, especially if you are a business owner as that would look very unprofessional, harming your company’s brand and reputation. You should always take note of the printed texts. While you print your checks, you will realize that checks are not so cheap for you to want to waste them while you print them. When you get them from your bank, you do not have an unlimited supply of them. So, it is better if you use them properly. Make sure that they do not get jammed when you print them. And if there are jams while printing, you should have an alternative to release the jam without you having to cause any damage to the paper. Connectivity is one factor that should make your job easier while printing. You do not necessarily need to have access to your PC every time you print, though. Today, there are printers that are easily accessible from virtually anywhere. Always, when making the choice to purchase a printer, look for one that offers you maximum connectivity. This is a very important factor if you are looking to print checks. The paper sizes of checks are often different from the sizes of other regular printing materials. You should make sure that you have enough options to configure the page size and the orientation. Most of the printers have settings for physical arrangements in paper tray itself. You should also make sure that you look for options for page orientation in software settings as well. One thing that is worth noting here is the software for printing checks. If you know that you are not confident enough with the software settings that are available in the printer, you should ensure to look for an extra software. There are available software programs in the market that you can use for drag and drop options. We hope that we have given you everything there is to know about printers for printing checks and the software programs that you can use with them. Make sure to go through this guide carefully before you make any decisions as to what printer you would buy to print your checks. Keep in mind points like the printing quality of the printer, paper handling, connectivity and page orientation before you set out to make any purchase.